UMNO is now hell-bent on serving only Malays. 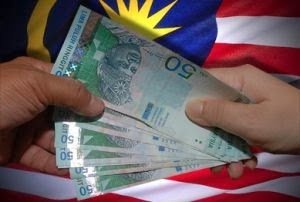 After all the Malays now form about 60% of the population and UMNO is going to increase the figure to 90% if not 99.99%. UMNO wants to make sure Malaysia is turned to a country just for the Malays. 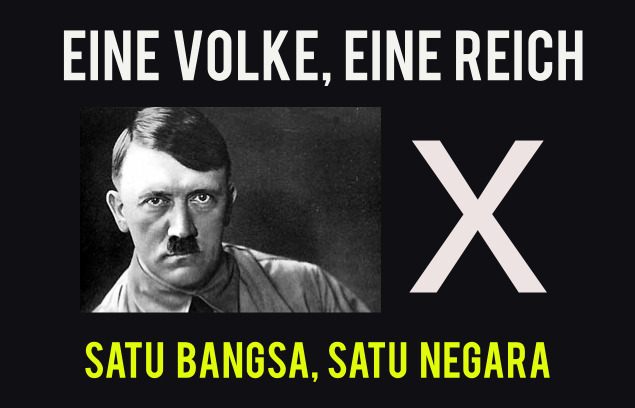 The non-Malays can “balik negeri” (go back to their ancestral lands). After all, the Malayan peninsula was dubbed Tanah Melayu, not Tanah Cina, not Tanah India, not even Tanah Asli. Never mind that the term “Melayu” is more a political construct than a tribal grouping (like the Orang Asli) - since Malays comprise a diverse mix of genetics ranging from Austronesian, Micronesian, Sulawesian, Javanese, and Sumatran to Cambodian, Chinese, Thai, Filipino, Burmese, Indian, Turkish, Yemeni, and Arab. In the last century, a generous amount of Anglo-European DNA has also been added to the cocktail. Indeed, the name Malaya derives not so much from being the Land of Malays as it does from the Tamil word for mountain, malai. As recently as 13,000 years ago, you could walk from what is now Peninsular Malaysia to Sumatra and Java. 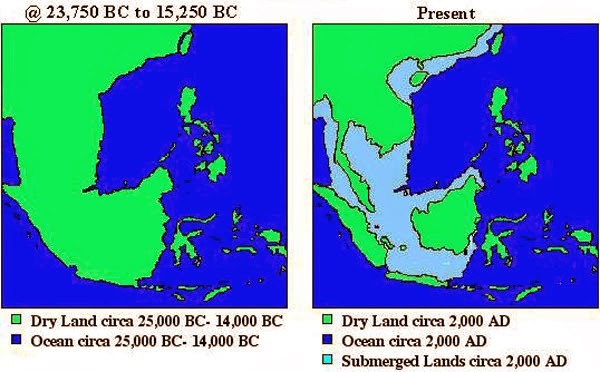 As the last glacial period ended, around 10,800 BCE, the sea level rose as much as 360 feet, creating what colonial geographers call the Malay Archipelago. In effect, Tanah Melayu is merely an unfounded claim – so long as a single Orang Asli insists he or she is NOT Melayu. Which is why the Orang Asli Affairs Department (JAKOA) has taken on the mission of systematically “assimilating” the Orang Asli through conversion to Islam. An anthropologist wryly noted that the Malays want the Orang Asli to become Malays – so they themselves can lay claim to being Orang Asli! 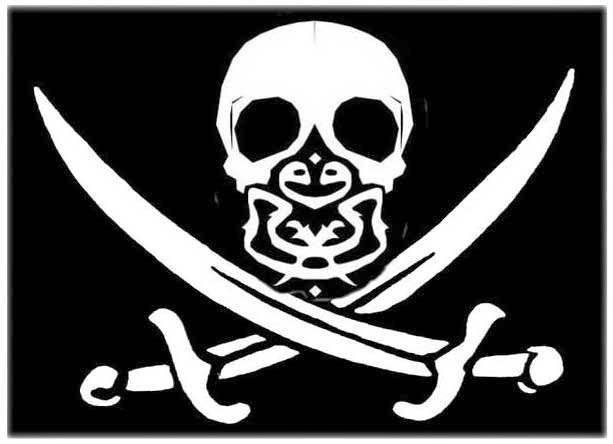 The fact that the United Malays Nationalist Organisation is better known as UMNO than Pertubuhan Kebangsaan Melayu Bersatu or PKMB reveals its colonial origins. 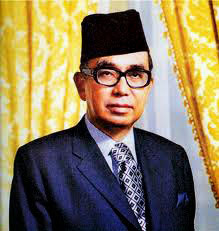 The British worked out a deal with the Malay aristocracy, represented by Tunku Abdul Rahman, which would grant a semblance of political independence to Malaya – while allowing Britain to retain a firm grip on Malaya’s rich natural resources. In short, UMNO was founded on a gigantic deception. That’s why they tend to spend so much energy and money on propaganda, hype and braggadocio, to cover up their deep-seated insecurity. Originally, the bulk of UMNO members were schoolteachers, junior civil servants, fishermen and farmers. 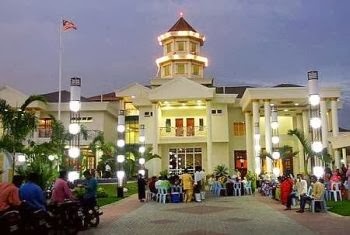 By the time the party was declared illegal by Justice Harun Hashim in February 1988, it was largely populated by contractors, small entrepreneurs, and professional rent-seekers. In its new incarnation as UMNO BARU, it became an extension of Mahathir Mohamad’s insatiable lust for wealth and the power it brings. A breed of instant Bumi billionaires was artificially created by Mahathir, with the help of his finance minister Daim Zainuddin, as a personal power base. This gave rise to the UMNOputra or nouveau riche ruling elite who began to taste the intoxication of seemingly limitless wealth, luxury, and political influence. Every UMNO warlord who made his first million desired to imitate the regal lifestyles of the Sultans – so they went on to making their first billion - or, rather, stealing it. To maintain their grip on the national purse-strings, they needed the unquestioning support of the rural Malays, whom they began to deliberately dumb-down by manipulating the education system and controlling the mass media. Having replaced English with Malay as the medium of instruction, they realized the advantages of effectively keeping the rural Malays monolingual and monocultural – insulated from outside influences and sheep-like in their religious indoctrination. Initially UMNO sought independence with the support of all the races. The British taught them how to divide and rule by establishing race-based political parties like the Malayan Chinese Association (MCA) and Malayan Indian Congress (MIC). There weren’t enough Eurasians to warrant a Malayan Eurasian Party; and the humble Orang Asli were a long way from demanding their own political lobby. For the first ten years, the nation progressed smoothly and grew into a larger political federation with the inclusion of Singapore, Sarawak and North Borneo (now Sabah). It didn’t take long for the Malay elite to realize that with Singapore’s entry into the equation, the Chinese community would become much larger than they felt comfortable with. 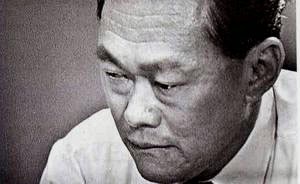 Lee Kuan Yew’s vision of a powerful modern state driven by business acumen, drawing on vast natural resources, and cosmopolitan in outlook stirred deep unease among the UMNO elite. They knew the Chinese would soon control the economy – as they already did the urban areas – and the Malays would be at a severe disadvantage, because of their strong attachment to traditions which made them reluctant to embrace globalism - unlike the Chinese, Indians and Eurasians who, as migrant races, were far more open to foreign ideas. Singapore had to be expelled before the Yellow Peril could take root. In 1969 a cabal of educated middle-class Malays in UMNO were seized by chauvinistic fervor. They became impatient to wrest power from the traditional elite, the Anglophilic Malay aristocracy symbolized by Tunku Abdul Rahman. Their own Sultans were so enamored of British culture, they often spent more time in London visiting the Queen than in their own states. Indeed, Sultan Abu Bakar of Johore was rumored to have been Queen Victoria’s secret paramour, and in the UK he preferred to be called Albert Baker. Stirring up existing tensions between the Chinese and Malays was easily accomplished and this led to an outbreak of racial violence triggered by UMNO’s poor showing in the first nationwide elections held on 10 May 1969. This was the golden opportunity the young Malay nationalist cabal led by Razak Hussein had been awaiting. If the riots had been a spontaneous eruption of racial animosities, the police and military forces could have established a strict curfew and brought the violence under control within 48 hours. Instead, the killings were allowed to go on for several weeks with a total loss of life and property that has never been fully tallied. With Razak Hussein taking over from Tunku Abdul Rahman, UMNO began to remake the nation after its own chauvinistic and opportunistic image. 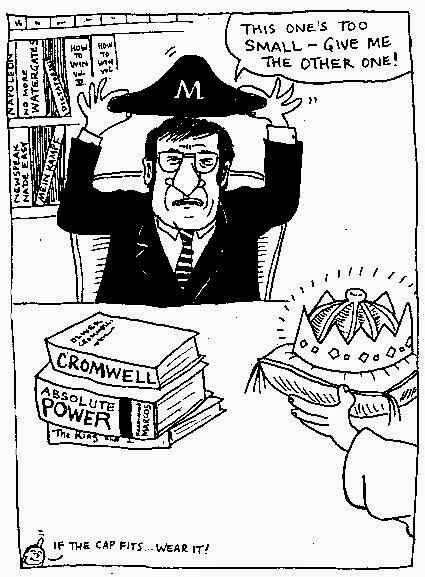 The New Economic Policy was introduced, followed by a National Cultural Policy aimed at sidelining “foreign” cultures. Soon the Biro Tatanegara (National Ideology Bureau) was initiated to indoctrinate civil servants with the spurious concept of Ketuanan Melayu (Malay Supremacy). In Sarawak where the robber baron Taib Mahmud reigned unchallenged as Chief Minister for 32 years, UMNO was unable to gain a foothold. 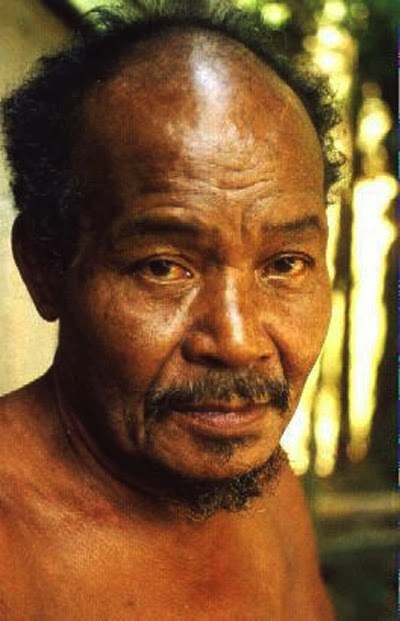 With a majority population of Orang Asal (indigenous tribes) – many of whom were Christianized by missionaries during the days of Rajah Brooke – the only way UMNO could make its oppressive presence felt was through attempts to turn them into Malays, just as they have been doing with the peninsular Orang Asli. To achieve this, UMNO had to first discourage them from practicing Christianity – hence the brouhaha over the use of Allah in the Malay-language Bible or Alkitab. 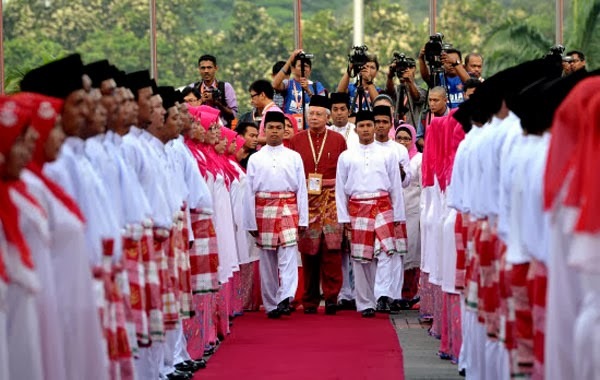 Even as hollow slogans like “1Malaysia” were coined at enormous expense, UMNO’s apartheid mentality has become increasingly obnoxious and overt – especially since losing its two-thirds parliamentary majority (again) in March 2008. Efforts to instigate a fresh round of racial violence after the 12th general election quickly fizzled out because Malaysians across the racial spectrum have become far more savvy since the internet destroyed UMNO/BN’s absolute monopoly on newspapers and television. No longer is it possible to pretend that it’s about Malays versus Chinese. Enough Malays have become educated and well-traveled to realize that it’s really about integrity versus disintegrity. Nothing to do with race or religion – and even less to do with royalty, which most Malaysians have come to accept as an unfortunate fact of life that can only be redressed when enough of us view ourselves as Malaysians. UMNO is not at all worried about the brain drain - even though many who have migrated elsewhere include a large number of Malays, the ones with ability, intelligence and integrity. After all, UMNO depends entirely on compliant, semi-literate, rent-seeking Malays with an inferiority complex to maintain its voter base – and, alas, there are still vast numbers of these around, even after two generations of special privileges and preferential treatment. Part of the post-1969 UMNO agenda was to completely dominate the economy, making it difficult for non-Malays to succeed in business. This UMNO attempted to achieve by setting up so many bureaucratic obstacles that the non-Malay business community was compelled to resort to bribery. Having accepted the bribes, they then turned around and accused the Chinese of being a corrupting influence. UMNO itself, of course, has acquired a species of magical immunity to corruption – mainly by planting cronies in key law enforcement positions. UMNO knows it is corrupt, dishonest, arrogant and extravagant - but will never admit it. With the rise of an educated, well-informed, urban middle class clamoring loudly for reform, UMNO’s only response has been to revert to heavy-handed authoritarianism, clamping down hard on dissent and setting loose the police on the political opposition and activists – instead of on increasingly powerful crime syndicates, the real threats to peace and security. Even as Zionist Israelis learned from the Nazis how to oppress the Palestinians, UMNO Malays have learned from the Zionists how to go the whole hog towards fascistic Nazism. 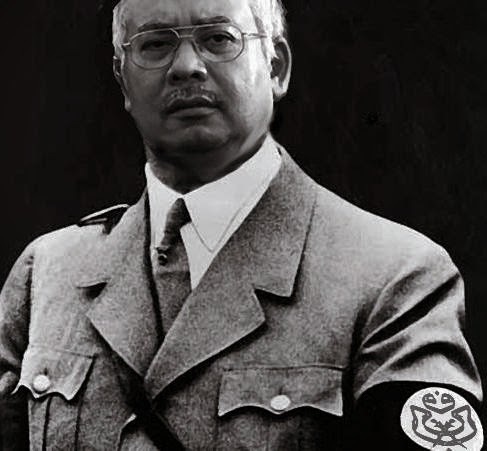 It appears that the Great Transformer, Najib son of Razak, has only managed since 5 May 2013, to transform Barisan Nasional into Barisan Nazional – with a little help, of course, from a hand-picked Attorney-General, Home Minister, and Inspector-General of Police. 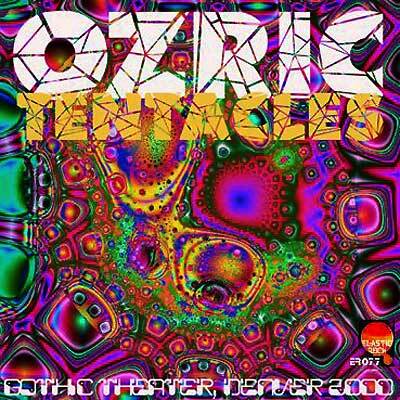 Blast the mental mold away with Ozric Tentacles! 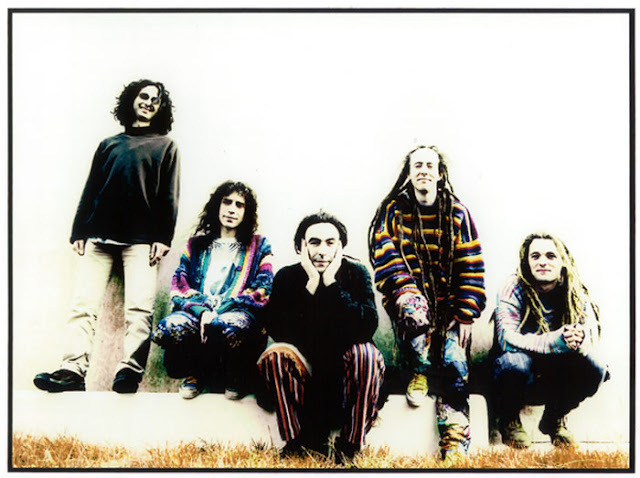 Ozric Tentacles (commonly known as the Ozrics) are an instrumental rock band from Somerset, England, whose music can loosely be described as psychedelic or space rock. Formed in 1984, the band has released more than 30 albums and become a cottage industry selling over a million albums worldwide despite never having major label backing. The original lineup met on June 21, 1984, at the Stonehenge Free Festival and its name arose from discussions of hypothetical cereal brands (Malcolm Segments, Desmond Whisps, and Gordon Lumps are among the names that were considered). In the 1980s the band built a fanbase on the festival circuit, becoming particularly associated with the Glastonbury Festival, and made a series of cassette releases, sold at gigs and via a fan club. Its first label release was Pungent Effulgent in 1989, which was also re-released in the early 2000s, packaged with Strangeitude. This was followed by Erpland (1990), an album dedicated to the Pongmaster, a character which appears on many of the band's album artworks. 1991 saw the Strangeitude LP. The track "Sploosh!" was used by BMW in an advertising campaign and became the band's only single. By 1993 the band had grossed over three million dollars, and its Jurassic Shift album reached the Top 20 of the UK Albums Chart. The band has gone through myriad line-up changes, with Ed Wynne (guitar, keyboards) being the only constant presence since the beginning. Many members left to pursue more electronic music spin-off acts, such as Eat Static, Transglobal Underground, Nodens Ictus, Dubblehead and Moksha. Even Nick Van Gelder (aka Tig), drummer for Jamiroquai during the Emergency on Planet Earth era was once part of the Ozric Tentacles line up, contributing drums and songwriting on the original cassettes Tantric Obstacles and Erpsongs. Nevertheless, the band maintained its identity and continued with this prolific rate of albums throughout the 1990s, and into the new millennium. It also continued to tour extensively, releasing a live DVD in 2002 entitled Live at the Pongmaster's Ball. The band is famous for its live performances, fronted for years by "Jumping Jon" Egan, who used to dance around the stage in a trance-like manner while playing a variety of flutes. 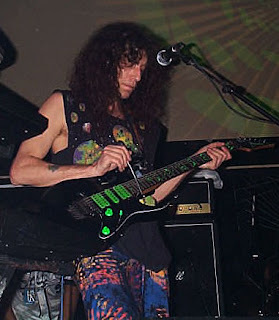 Ozric Tentacles has long taken an audio-visual approach to live performance, with an integrated lighting and projections crew. As of February 2009, the lineup featured Ed Wynne (guitar, synths), Ed's wife Brandi Wynne (synths), Oliver Seagle (drums, percussion) and Vinny Shillito (bass). Two bombs killed nearly 250,000 people in August 1945. Never, never, never again! 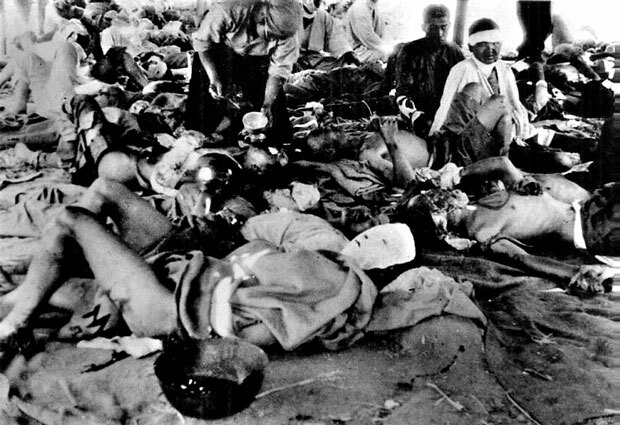 Following a firebombing campaign that destroyed many Japanese cities, the Allies prepared for a costly invasion of Japan. The war in Europe ended when Nazi Germany signed its instrument of surrender on 8 May, but the Pacific War continued. 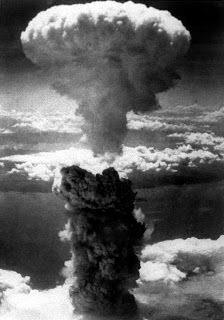 Within the first two to four months of the bombings, the acute effects killed 90,000–166,000 people in Hiroshima and 60,000–80,000 in Nagasaki, with roughly half of the deaths in each city occurring on the first day. 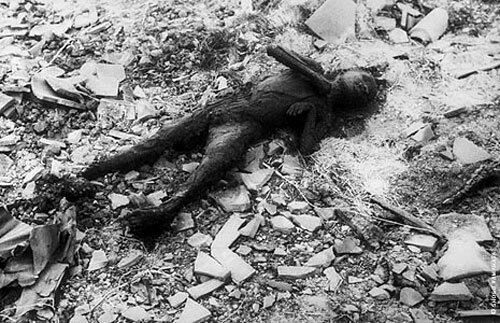 The Hiroshima prefecture health department estimated that, of the people who died on the day of the explosion, 60% died from flash or flame burns, 30% from falling debris and 10% from other causes. During the following months, large numbers died from the effect of burns, radiation sickness, and other injuries, compounded by illness. 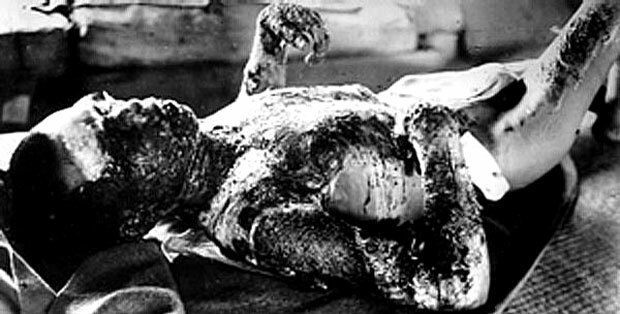 In a US estimate of the total immediate and short term cause of death, 15–20% died from radiation sickness, 20–30% from burns, and 50–60% from other injuries, compounded by illness. 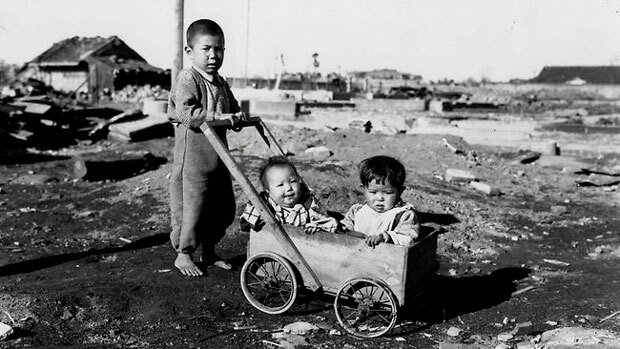 In both cities, most of the dead were civilians, although Hiroshima had a sizeable garrison. On 15 August, six days after the bombing of Nagasaki, Japan announced its surrender to the Allies, signing the Instrument of Surrender on 2 September, officially ending World War II. 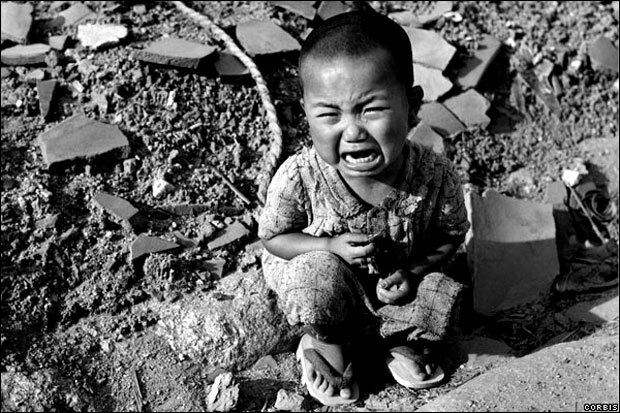 The bombings led, in part, to post-war Japan's adopting Three Non-Nuclear Principles, forbidding the nation from nuclear armament. 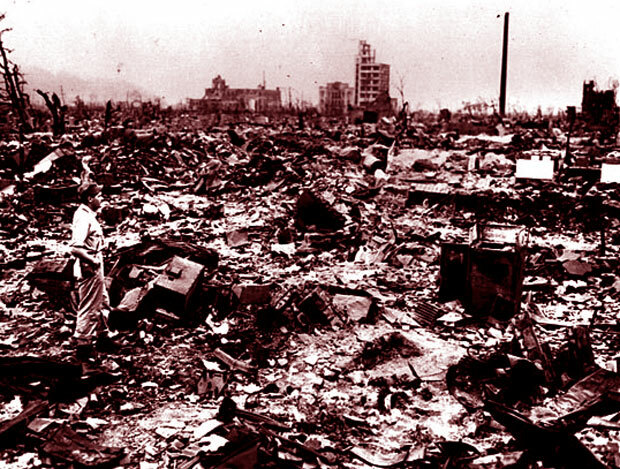 The bombings' role in Japan's surrender and their ethical justification are still debated. 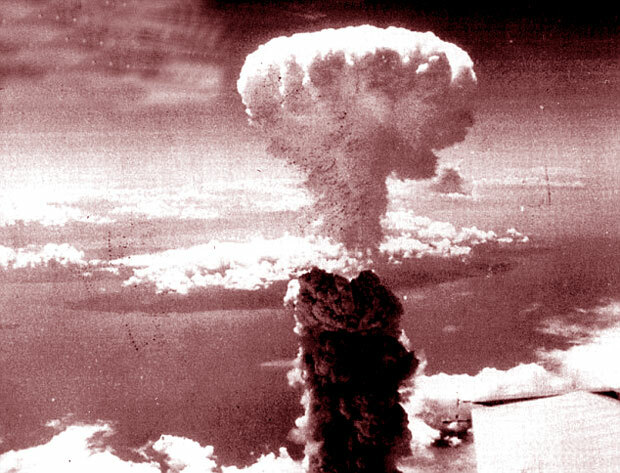 Isn't it ironic that Japan was forced to agree never to arm itself with nuclear weapons - even though it was clearly not the aggressor in this instance? Today the two most warlike nations with nuclear capability are the United States and Israel (an undeclared nuclear power). 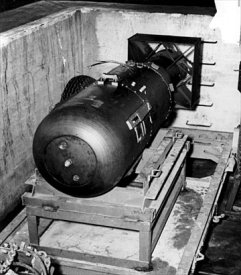 Hiroshima & Nagasaki: A Zionist Experiment?